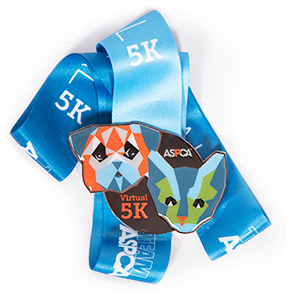 This Fall, Pepper & I will be participating in the ASPCA Virtual 5K! Your donation will help the ASPCA provide life-saving programs and services to millions of animals nationwide.Help us make a positive impact in the lives of animals! Also, let me know if you'd like to run with us! We'll be running the Highline Canal path, starting behind my house (date & time TBD).